Janet Yamamoto is a hero among cat lovers. Last spring, the U.S. Department of Agriculture approved use of a vaccine she developed for feline immunodeficiency virus, or FIV, a disease that may infect as much as 25 percent of the global domestic cat population. 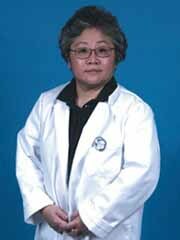 Yamamoto and a colleague discovered FIV in 1986 and she has spent much of her career studying it. Since FIV has many biological similarities to the human immunodeficiency virus that causes human AIDS, strategies and procedures for protecting cats from FIV are expected to aid in the development of human AIDS vaccines. Researchers in Yamamoto’s Laboratory of Comparative Immunology and Retrovirology have focused their attention on cats with FIV who take a long time to exhibit symptoms of the disease. Yamamoto and her colleagues believe these so-called “long-term non progressors” offer unique insights that may provide more clues to preventing or curing the disease in cats, and humans.